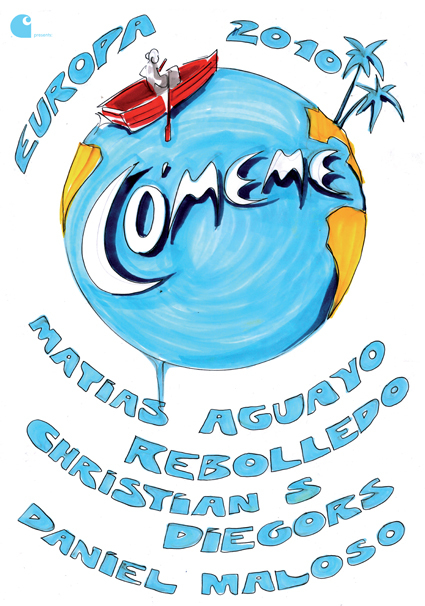 For about a month the whole Cómeme family spreads their fearless jacking one-of-a-kind rhythms around Europe. In collaboration with Kompakt Carhartt assembled a line-up that features artists such as Matias Aguayo, Rebolledo, Diegors, Daniel Maloso, and Christian S.
The South American bunch of DJs and producers is famous for a thrilling mix of House, Swing, Cúmbia, Techno, Kwaito, Disco, and Shangaan Electro, whichsoever they always present in a headstrong unique way. While one of them handles the turntables, the others play percussions and sing along incentive melodies to enlarge the party with some direct human ambience. If you are tired of the common superficial House and Techno merry-go-round, these guys bring back the flame that will heat your love to unstopable moving dance music again. 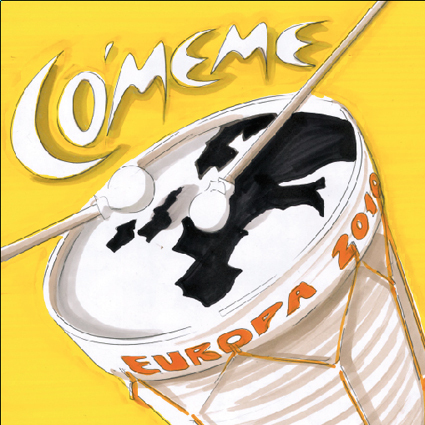 During their Europe tour they also offer an exclusive Mix-CD with previously unreleased tracks that transports the Cómeme sensation into your living room.